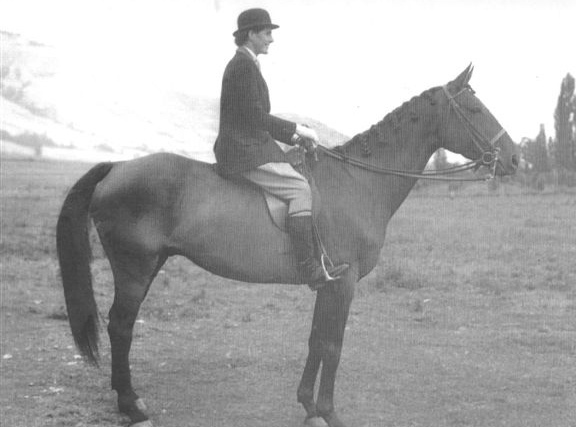 The origin of the club dates back to 1912 when a group of horse enthusiasts banded together to form a polo club. In 1932 they named themselves the Vernon District Riding Club, however, it was not until 1943 that they became formally organized. Hal Symonds was elected as new president and Miss Phyllis French was the first secretary. The club sponsored its first show at Kin track in 1944. It sponsored race meets and held gymkhana events in the infield between races. The reorganized club started with 20 members. The club gained more members and eventually raised the funds to purchase its present site from Hal Symonds on Aberdeen Road. Fun and social activities were the early focus of the new club. 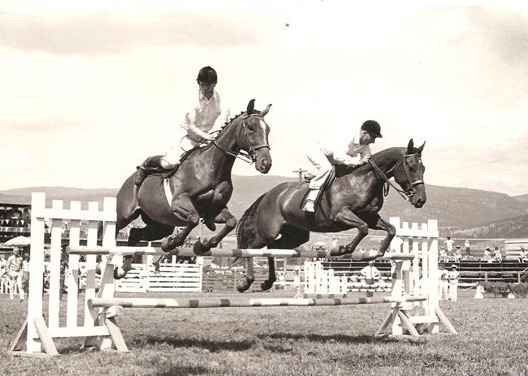 Overnight rides with bonfires and sleeping bags close to horses, songs late into the night and spring Easter egg hunts on Middleton Mountain are some of the happy memories which are still fresh in the minds of those who were there. A large Junior Club was formed and Mada Rendell and June Osborn organized paper trails dropping long trails of paper bits over the Coldstream Ranch for riders to follow. These youngsters came back with stories of being chased by a bear, rattlesnakes on the trail, and jumping over an exposed bomb which turned out to be still ‘live’. Some of those juniors have now become senior members and their children are on ponies experiencing the same joys. The present Vernon District Riding Club has many 3rd and 4th generations of family members.